Description: Colasoft MAC Scanner is a scan tool using to scan IP address and MAC address. It can automatically detect all subnets according to the IP addresses configured on multiple NICs of a machine and scan the MAC addresses and IP addresses of defined subnets as your need. Users can custom own scan process by specifying the subsequent threads. Description: Colasoft Packet Player is a replay tool which allows you to open captured packet trace file and playback in the network. Colasoft Packet Player supports many packet trace file formats created by many sniffer software, such as Colasoft Capsa, Ethereal, Network General Sniffer and WildPackets EtherPeek/OmniPeek etc, it also support burst mode and loop sending feature. Description: Colasoft Ping Tool is a powerful graphic ping tool, it supports ping multiple IP addresses at the same time, and compares response time in a graphic chart. You can view historical charts and save the charts to a *.bmp file. With this build-in tool, users can ping the IP addresses of captured packets in Colasoft Capsa (if applicable) conveniently, including resource IP, destination IP and both of them. 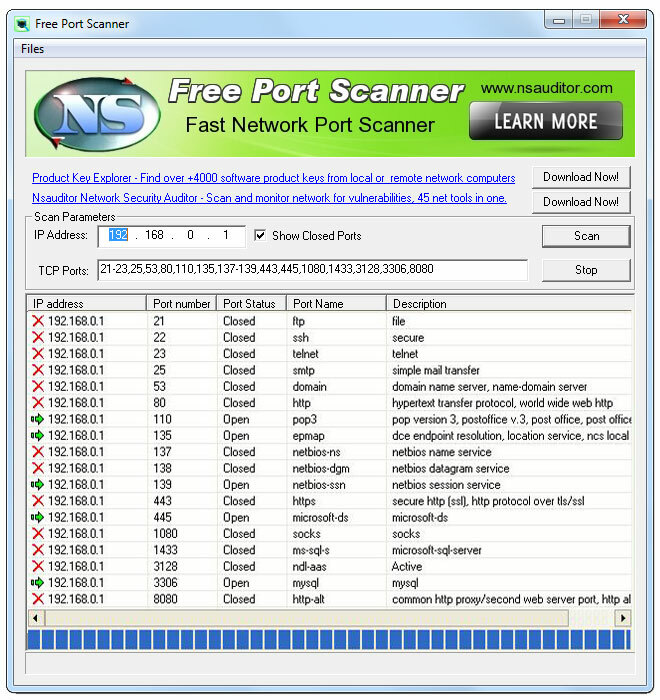 Description: Free Port Scanner is a small, fast, easy-to-use and robust port scanner for the Win32 platform.You can scan ports on fast machines in a few seconds and can perform scan on predefined port ranges. This tool uses TCP packets to determine available hosts and open ports, service associated with port and other important characteristics. The tool is designed with a user-friendly interface and is easy to use. Description: NetInfo is a collection of 15 different state-of-the-art network tools on a single, easy-to-use interface. Designed from first-hand experience, NetInfo allows businesses to more effectively combat network downtime by allowing network administrators, webmasters, and Internet service providers to more accurately isolate faults, simplify processing of diagnostic data and increase internal network security. Description: NetSendFaker allows you to send anonymous net send messages to anyone that is connected to the network. You can also emulate messages as if they were sent from other computer. The tool is designed with a user-friendly interface and is easy to use. Description: The network support tools include Ping, Traceroute, PuTTY, NSLookup, Wireshark, NetStat, PathPing and Skype. In addition there is a Subnet Calculator, Internet Throughput Test and TCP/UDP port reference. The Cisco specific tools include IOS download, TAC Service Requestor and End of Sale (EoS) reference. It eliminates the frustration with jumping between web pages and remembering commands. 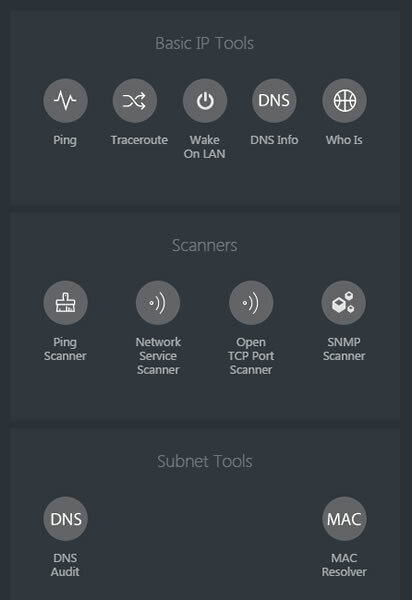 Description: If you are looking for a solution that allows you to ensure a consistently high level of quality control over your network, a reliable ping tool is an essential piece of software. Ping Assist Pro does the hard work for you, constantly monitoring the performance of the devices on your network and retaining the information in logs that you can review later on. The ping software also runs as a Windows service, using up minimal system resources.